Set on seven lush acres, this beautiful beachfront hotel offers an idyllic escape. 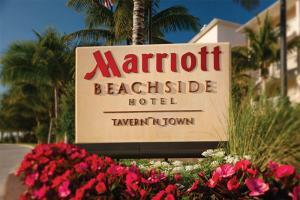 The hotel affords easy access to Key West's most popular attractions, including beaches and museums. Comfortable guest rooms and suites feature coastal accents and upscale amenities for a relaxing stay. The hotel offers a 16-slip Marina with watersport rental and overnight dockage. Dining options Tavern N' Town, serving contemporary cuisine, and casual poolside dining at the Blue Bar.